Last night, the Alameda County Democratic Central Committee (ACDCC) swore in (ceremoniously, as it turned out) its new membership. It wasn’t very different than its old one. Six of our 33 elected members are new, but three of them had previously been alternate members. In Assembly District 18, where we actually elected three new members, the three defeated incumbents will now be alternates. The Committee’s Chair remains the same, as do the two secretaries. The Vice Chair is now the Treasurer and the Treasurer has now been hired to be the professional accountant/treasurer. We do have a new Vice Chair, who was elected after the outgoing Vice Chair made a surprise announcement at the meeting that he would not seek re-election. Before members had a moment to digest these news, nominations for his position were closed and a vote had been called for the sole candidate. 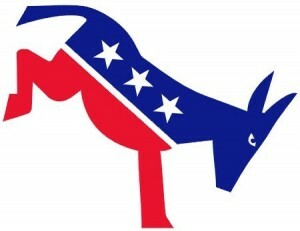 Business as usual at the Democratic Party. There were a few changes with respect to Assembly District Vice-Chairs. The ACDCC is divided into five caucuses, one for each Assembly District that falls within Alameda County. The vice chairs for AD 15, 20 and 25 remained the same, but AD 16 decided to replace the incumbent vice-chair, who had rarely been seen in the last three years, with her closest acolyte. Neither were present at the meeting. In AD 18, after a lot of behind-the-scenes drama and machinations, the incumbent Vice Chair was forced out, two activist members were sidelined and Assemblymember Rob Bonta‘s paid staffer and alternate member, was put in. Once again, business as usual. Less business as usual was the resolution we passed, unanimously, that urges local City Councils and the Board of Supervisors to declare “themselves to be Sanctuary Cities and refuse to honor any request by the Trump Administration to use any of their resources, including Police and Sheriff’s Deputies to participate in any arrests or internments mandated by the Trump Administration.” This is a move that I wished we had done a long time before, given the Obama administration widespread use of local police power to make immigration-related arrests. But I am thrilled that we passed this now. Now, we need to work to make sure City Councils in Alameda County implement this resolution. And while minor, there have been changes. Two of the new elected members, Guillermo Elenes and Pamela Price, are avowed civil rights activists that come to the Committee planning to push an agenda of progressive reform. Newly elected Congressman Ro Khanna has named as his alternate former Marine and Bernie Sanders delegate Cullen Tiernan, who along with a few other alternates and associates are bringing the energy of the Bernie Sanders movement to the Committee. Cheryl Cook-Kallio, who unsuccessfully ran for Assembly against the Republican incumbent in AD 16, has joined as an ex-officio member and her experience as an award winning Government teacher already proved useful in helping us shape the resolution described above. Ultimately, it’s anyone’s guess whether the forces of change will defeat those of stagnation, a happy medium will be reached, or the whole thing will blow up. I’m betting on the first.